Zelda BOTW: defeat Guardians with Stasis+ glitch exploit is a method of killing Guardians easily. You have to trigger a bug under set circumstances, which causes Guardians to fall through the floor. It doesn’t work on all Guardians, though. Still, using the Stasis+ rune bug in Zelda BOTW is a great way to kill Guardians quickly. 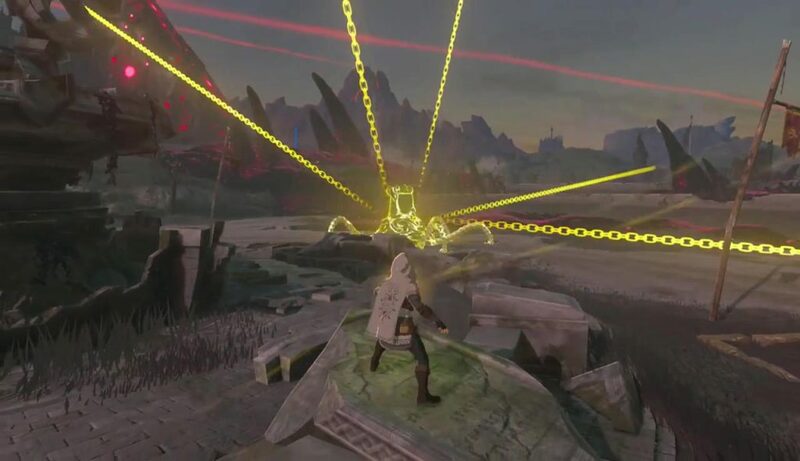 Zelda: Breath of the Wild is well-known for providing players with many different approaches to problems, and giving the freedom to use whatever methods the player sees fit. However, some methods can be a little… more unorthodox than others. We’ve written before about how to defeat Guardians in Zelda BOTW, and it’s still damn solid advice. But players have found (and posted on reddit and other platforms) a Stasis+ glitch which lets you get rid of them in seconds. Before we begin, a few words of forewarning. To trigger the glitch, you need to upgrade the Stasis rune to Stasis+, because that allows you to use the power on enemies. Also, this method won’t work on immobile guardians, only those that still have legs. Finally, it won’t work if the Guardian catches sight of you. Best you find a calm, relatively remote position to target the enemy. Once you’ve found your vantage point of choice, all the while making sure that you don’t wake up the sleeping Guardian, select Stasis+. Use it on the Guardian. Once the clock counts down to the end, the Stasis+ glitch will trigger, and the ground will swallow the poor, unsuspecting Guardian. That’s all there is to it. Now, it’s worth noting that using this method has a drawback. Killing Guardians this way doesn’t give you any loot, not even a single ancient part. If you’re hunting Guardians to grind out parts, this isn’t the method to use. Better check out the article linked above instead. If, on the other hand, you just want to get them out of your way, then Stasis away and laugh maniacally as the very earth devours your enemy. Check out the video below to see the Guardian-killing Stasis+ glitch in action.